Bout of Books 22 SIGN UP! 3. On May 14th, READ! 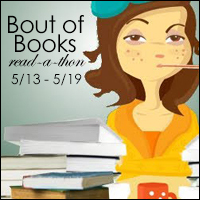 For Bout of Books 22, challenges will be hosted on the Bout of Books blog with credit/link to the site/person who provided the idea. Challenge sign up will close April 22rd at 11:59pm CST.